The retina is the light-sensitive tissue located at the back of the eye that sends signals to the brain. A retinal tear refers to torn portions of the retina, which can lead to permanent vision loss if it is not addressed in time. Retinal detachment refers to cases in which part of the retina peels off completely. The team at our Kansas City eye care center can effectively diagnose and treat different kinds of retinal conditions. Right now, we'd like to focus on the treatments available for retinal tears and detachment. We'll first note causes and symptoms so you are aware of when to seek emergency eye care services. Retinal tears and detachment may be caused by serious physical trauma to the head, face, or eye area. Different kinds of accidents or injuries can lead to tearing of the retinas or total retinal detachment. 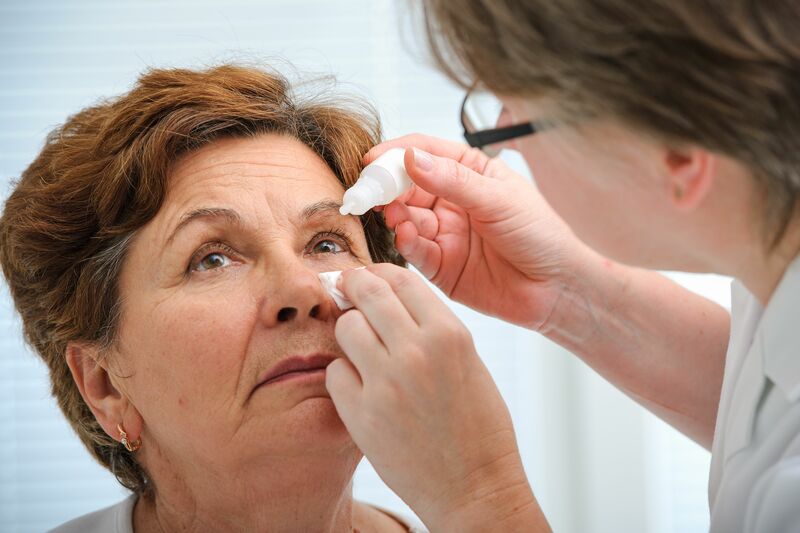 Retinal tears and detachment can also be caused as a result of the natural aging process. Within the eyes is a substance known as vitreous gel. Over time, this gel shrinks and may pull or tug at the retina. This can lead to tears or even detachment of the retina. Be sure to seek medical attention immediately once you notice any of these symptoms. This can preserve your vision and prevent major vision loss. Photocoagulation uses carefully targeted laser energy to create a small burn around the retinal tear. The resulting scar tissue helps seal the retina back together, preventing further tearing and detachment. Cryopexy works in a similar fashion as photocoagulation. Instead of using laser light, however, this treatment uses a special freezing probe to create scar tissue around the torn or detached part of the retina. When the retina is pulled from the back of the eye by the vitreous gel, a scleral buckle can be used to counteract the pulling. This is a flexible band placed around the eye, allowing the retina to settle back into its normal position. During pneumatic retinopexy, a small gas bubble is injected into the vitreous gel. This bubble helps push the torn or detached portion of the retina back into place. Pneumatic retinopexy is often a supplement to photocoagulation or cryopexy. A vitrectomy removes all of the vitreous gel from the eye. It is replaced with either a gas bubble or a new fluid with a gas bubble. This will help press the retina back into place, helping the tear or detachment to heal properly. During a consultation with our retina specialists, we'll determine the ideal treatment based on the nature of your injury. The cause and nature of the retina tear will often determine the most ideal course of action. For more information about treating retinal tears and detachment, we encourage you to contact our team of retina specialists today. We will help restore your vision and prevent further vision loss to the best of our ability.